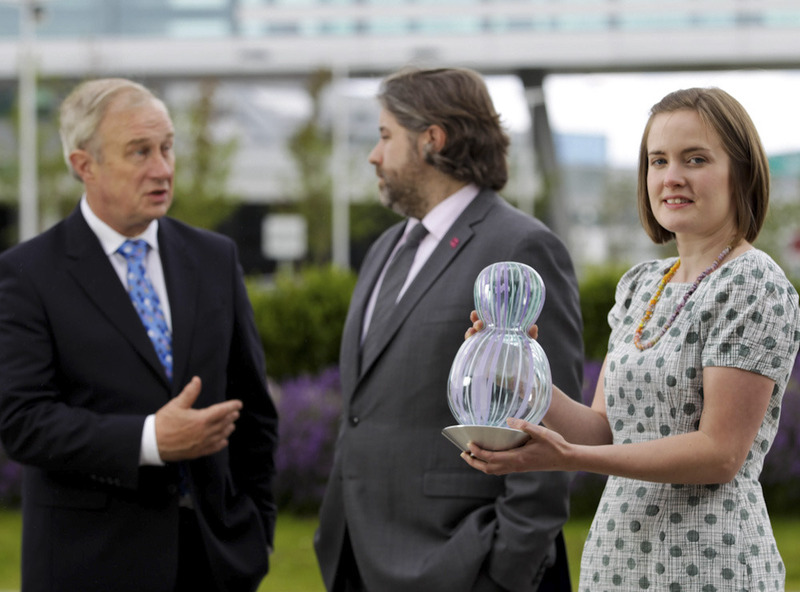 Dublin Airport Authority announce that Portstewart-based glass artist Catherine Keenan is to create the sculptures for the Allianz Business to Arts Awards 2012. 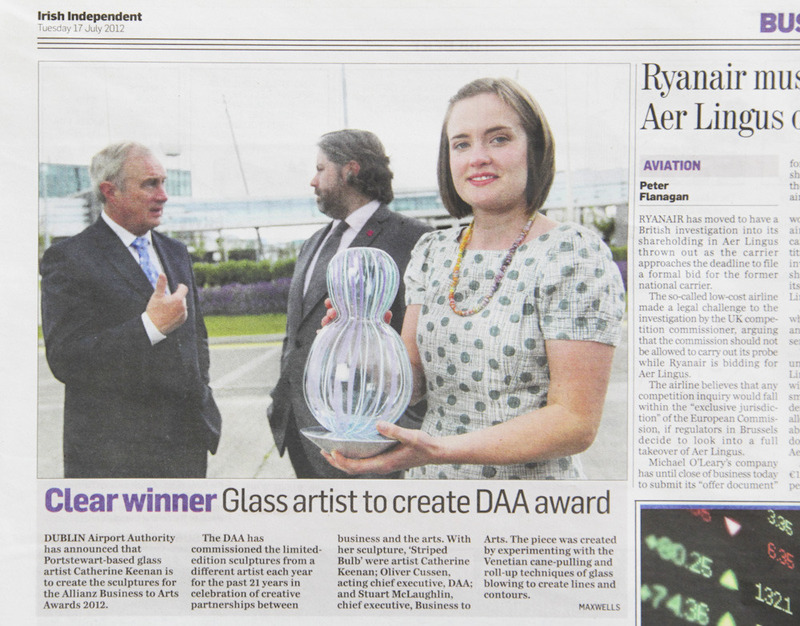 DAA have commissioned the limited edition sculptures from a different artist each year for the past 21 years in celebration of creative partnerships between business and the arts.Also announced today is the shortlist for the 21st annual Allianz Business to Arts Awards which reflect an ever deepening relationship between business, the arts and all kinds of communities.Announcing the 2012 Allianz Business to Arts Awards sculpture, ‘Striped Bulb’ were Oliver Cussen, Acting Chief Executive, DAA; artist Catherine Keenan; Stuart McLaughlin, Chief Executive, Business to Arts. The unusual glass piece was created by experimenting with the Venetian cane pulling and roll-up techniques of glass blowing to create lines and contours.